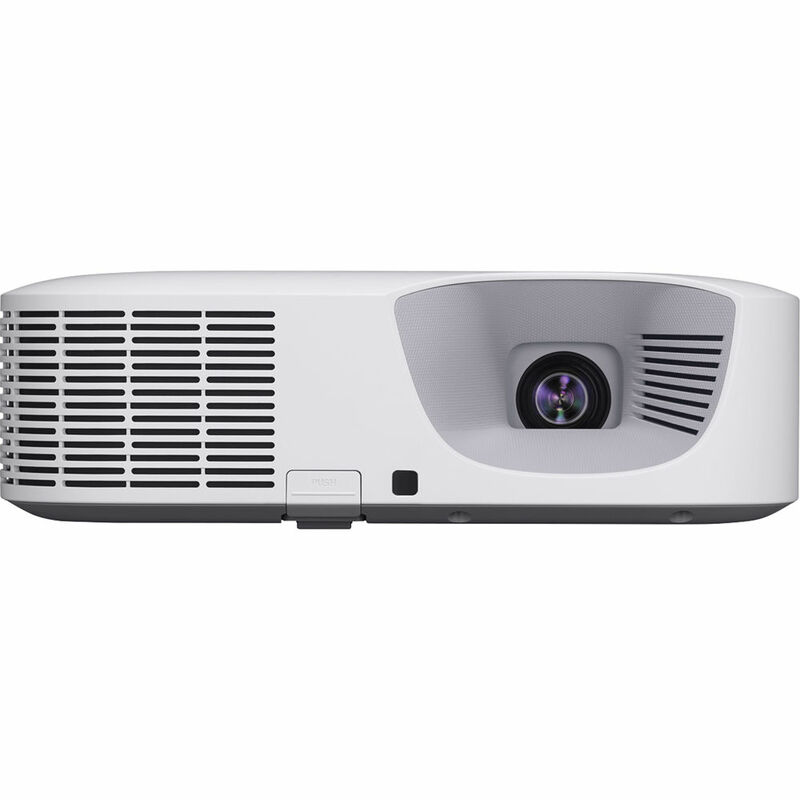 Reduce your carbon footprint and lamp costs with the Casio XJ-F10X LampFree Advanced Series 3300-Lumen XGA DLP Projector. It features a non-replaceable laser and LED hybrid light source with a 20,000-hour estimated life to minimize cost, environmental impact, and down time. 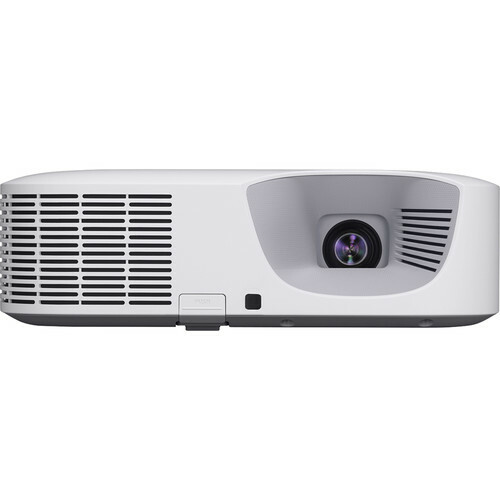 Its 1.66 to 2.42:1 throw ratio will allow you to place the projector at relatively long distances from the screen, while its 3300 lumens of brightness and 20,000:1 dynamic contrast ratio will produce clear images at these distances, even with some ambient light. The XJ-F10X has VGA, RCA composite video, S-video, and two HDMI inputs and will pass-through audio with its 1/8" analog input and output. The projector also features a built-in 16-Watt speaker to provide audio, plus a VGA output to daisy chain other projectors or displays. It is controllable by AMX, Crestron, or Extron systems via RS-232 or by the included IR remote. An RGB cable is also included for instant connectivity. Presentation materials stored in the internal memory (2GB) can be projected without a computer. Operators can project still or moving images as well as files in PDF and other formats without conversion. Operation can be conducted with the included remote control or via AMX, Crestron, or Extron. Wireless connection with a smartphone or tablet via the C-Assist mobile application permits remote control of the projector by a computer. The ability to change from one projected image to another, project digital images taken with a camera in real-time, and share web pages contributes to more efficient conferences and impressive presentations. Box Dimensions (LxWxH) 15.0 x 13.7 x 6.4"
XJ-F10X LampFree Advanced Series 3300-Lumen XGA DLP Projector is rated 4.0 out of 5 by 1. Rated 4 out of 5 by Lavid Dang from Good Performance for this price I would recommend this projector, the only thig that is not perfect is that he is a bit loud.